By Ben Cohen: After enacting extreme austerity measure in the UK with the promise that cutting spending would solve the economic crisis, the Conservative government has a lot of explaining to do after it was announced last week that Britain was falling back into recession again. David Cameron has desperately tried to argue that his problems were inherited, that the debt crisis was so bad that it has made a speedy recovery impossible, but the historical record shows otherwise. The recession and economic recovery has been one of the slowest in history – a testament to the failure of the austerity measures passed by the coalition government. The ONS said output of the production industries decreased by 0.4%, construction decreased by 3%. Output of the services sector, which includes retail, increased by 0.1%, after falling a month earlier. It added that a fall in government spending had contributed to the particularly large fall in the construction sector. “The huge cuts to public spending – 25% in public sector housing and 24% in public non-housing and with a further 10% cuts to both anticipated for 2013 – have left a hole too big for other sectors to fill,” said Judy Lowe, deputy chairman of industry body CITB-ConstructionSkills, said. 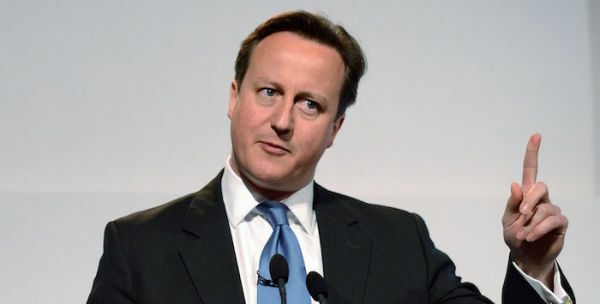 Cameron has stated that he will continue on the path towards debt reduction and austerity, claiming the country’s ability to borrow should take precedence over everything else. Cameron argues that spending in the private sector is key to growth, and government must make it easier for the wealthy to unlock their capital. This theory is not only deeply flawed, but provably false. How do we know this? Because it isn’t working in Britain, or anywhere else for that matter. This is a recession made by him and the chancellor in Downing Street. It is his catastrophic economic policy that has landed us back in recession….Arrogant, posh boys just don’t get it. I think that Miliband has a point here – Cameron and virtually everyone he is surrounded by come from enormously privileged background. Haven risen through the exclusive British private schooling system, then onto Oxford, Cameron has been bred to believe that the wealthy know what is best for the country. The notion that the rich should not determine economic policy is completely alien to him, and his government reflects the values of his social class – and those values place self interest above all else. Businesses in Britain and around the world are sitting on record piles of cash: $2 trillion globally. But they won’t invest that cash and create jobs until they see the demand for their products and services rising. And squeezed consumers won’t create that demand until they have confidence they can spend a bit more and manage their debts. It is then up to the government to increase confidence in the economy through investment – something now so blatantly self evident that is is remarkable the Conservatives won’t entertain it. Given they will have to call an election within the next two and a half years, they might have to if they want a chance of staying in power. Otherwise, the Tories will be about as successful as their economic policies – and so far, they are proving to be an utter failure.